The LD 306 Hot Water pavement cleaner uses an environmentally friendly washing method combining the action of high pressure and hot water, without using chemicals. It directly attacks grease stains and chewing gum on all types of surface. 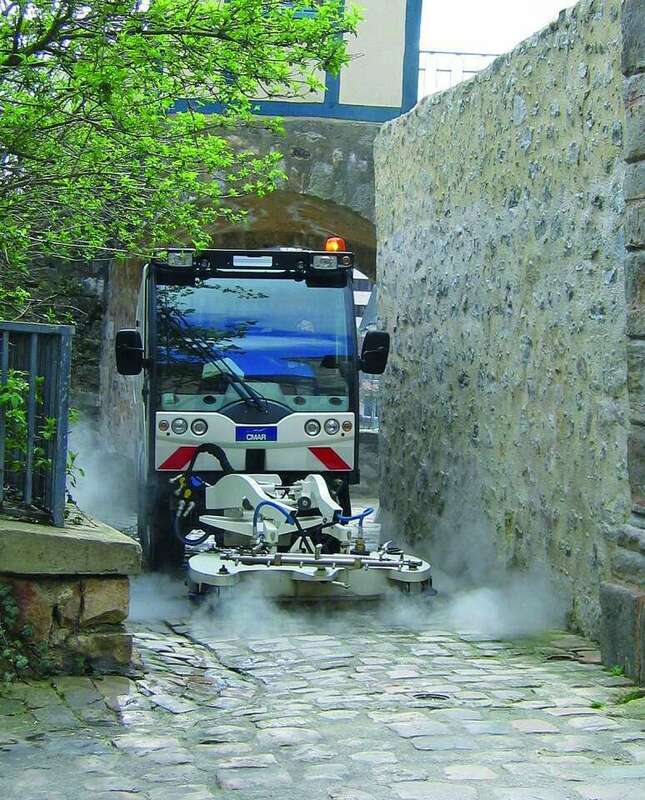 Returning their initial appearance to paved areas and other town and city surfaces is the LD 306s mission. This LD 306 compact hydrostatic advance carrier with 4-wheel drive and 4 directional wheels is the most powerful in the CMAR line. 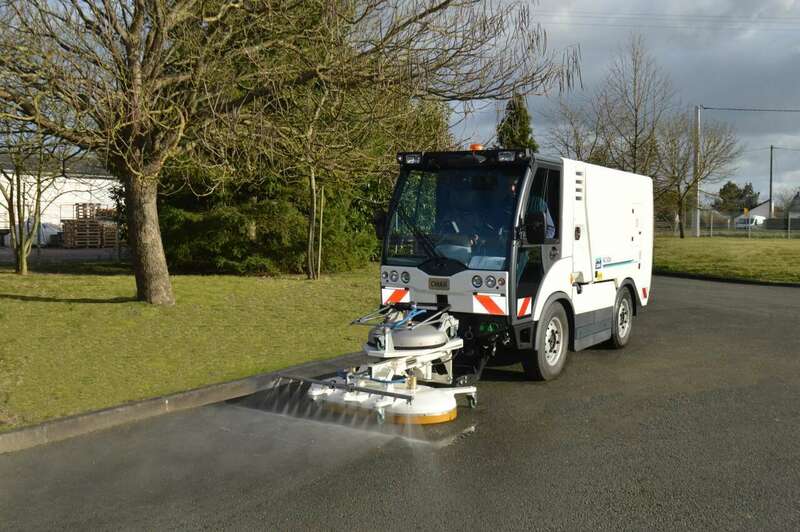 Fitted as standard with 2 fuel boilers, its operating temperature approaches 95°C, combined with the hot water high pressure circuit at 43 l/min at up to 300 bars, the CMAR LD 306 washs your paving to return it to its initial condition. The 70 l/min low pressure cold water circuit at up to 80 bars is used to rinse away the dirty water or to convert your CMAR washer into a cleaner. Fitted with a reinforced 1650 litre polyester tank with a technical space, the hot water pavement washer has a very high autonomy. Driver comfort has not been forgotten, the panoramic cabin has two suspended high comfort seats. The CMAR LD 306 is the normal evolution of the NC 300 Euro5 hot water pavement scourer manufactured by CMAR for many years. Fitted with a Euro VI direct injection 80 Kw engine, this washer meets all the latest environmental requirements. With its compact size and fitted with the latest technology, the NC 306 perfectly integrates your urban environment, to make it shine. Thanks to its 4x4 mode and its quick summer/winter equipment removal system, the CMAR LD 306 washer can be converted to a tool carrier, with a salt spreader at the back and a snow clearance blade at the front. This makes the CMAR hot water pavement washer / cleaner the perfect versatile tool.